Because shipping method names on orders rarely match the shipping method names a fulfillment service uses, you can create shipping class matches to tell your fulfillment service what shipping method and carrier they should use for each of your orders. All of your shipping method names must be matched—if they aren't already the exact shipping method name the fulfillment service uses. If no match is made, the default shipping class will be used instead. This setting lets you tell the fulfillment service what method you want them to ship your orders by default. This means that if you don't have any shipping class matches set up and the shipping method on your order isn't a method name the fulfillment service uses, they will use this default mail setting for that order. 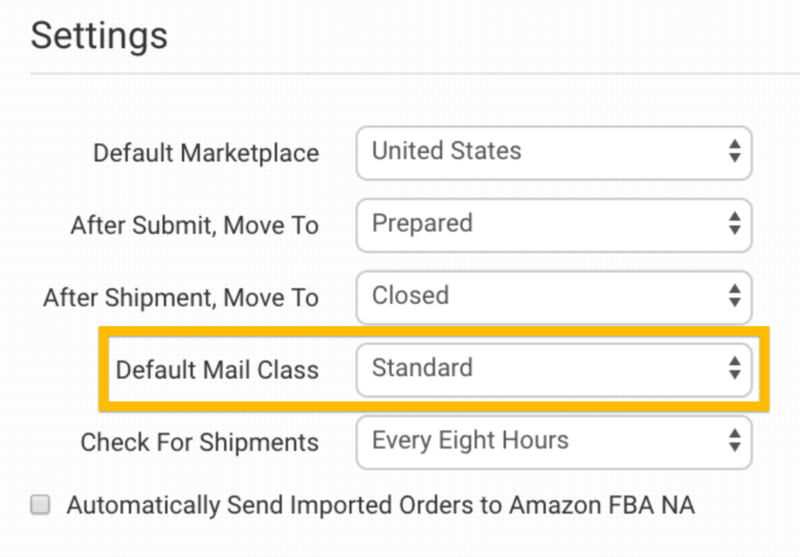 To avoid your fulfillment service using the default method for every order, set up shipping class matches for each of your method names. This is called the Shopping Cart Name—that is, the method name that is coming in on the order from the shopping cart. 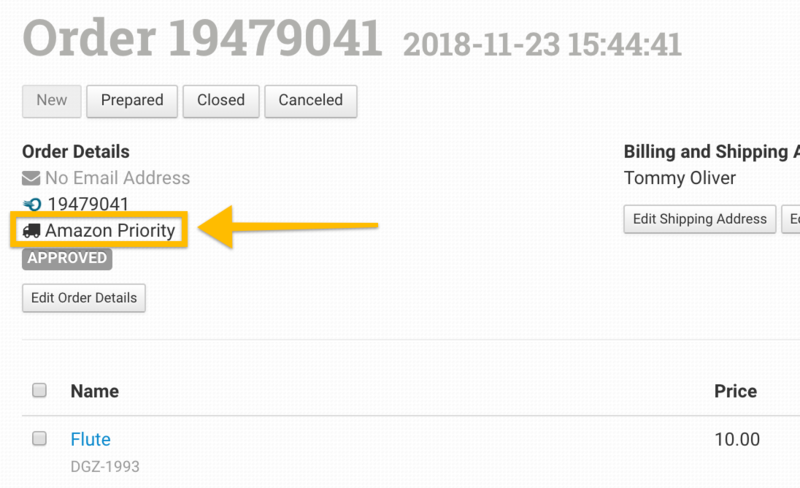 In your integration settings, scroll down to the shipping class match section. Next, add the shipping method name from the shopping cart to the Shopping Cart Name field. In the above example, that would be Amazon Priority. Click Add to create the match. In this example, any time an order comes in with Amazon Priority as the shipping method, FBA will know to ship it Priority. Add as many matches as necessary. The column to the right of the shipping class match area will show the matches that have already been made.